Presidential press secretary Robert Gibbs says the White House was pleased to learn that Malawi's president has decided to pardon a gay couple (Tiwonge Chimbalanga and Steven Monjeza) sentenced to 14 years in prison after they threw a lavish engagement party. In a prepared statement, Gibbs says the men are not "criminals" and called for and end to "the persecution and criminalization" of sexual orientation and gender identity. Secretary of State Hillary Clinton called it a "good day" for "people of conscience" world-wide. 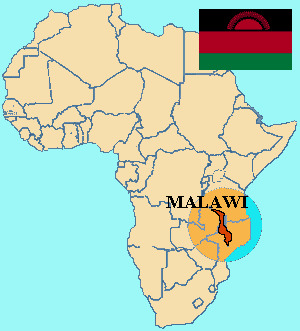 Malawi's president says he granted the pardon based on "humanitarian grounds only." Homosexuality remains illegal in his country. See story here and here and here. The Ten Commandments are nowhere printed in any government document but the Bible. I'm not "gay" but I'm glad justice for all was served. EDITOR: ANON: The Bible is a "government document?" Please tell me you did not pass my class! I wonder when the White will be pleased for pardoning some US citizens? Where is the outrage that not a single pardon has been issued by president Obama.